A good quality, supportive mattress could be the solution to your back pain – discover the link between back pain and mattresses, and the best mattresses for bad backs. If you suffer from back pain, you’re not alone. 1 in 7 Australians report having back problems – that’s 3 million people. 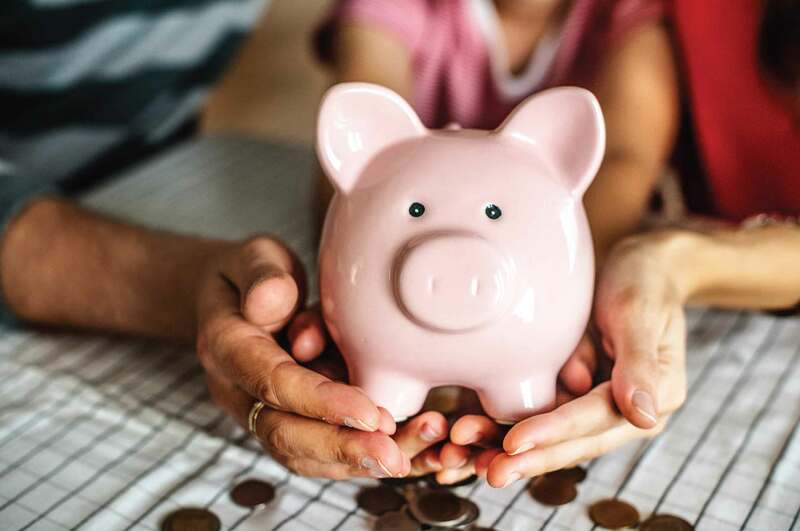 If you’re one of those 3 million, a visit to your doctor should be your first point of call as they’ll be able to determine if you have a medical condition that’s causing your discomfort. Once you’ve got the all-clear, it’s time to consider how you’re sleeping and your mattress. With a huge chunk of your life spent sleeping (a third! ), it’s important to ensure that your back and muscles are properly supported during this time. This guide will help you understand how to support a healthy, pain-free back when you’re sleeping. It’ll look at small tweaks you can make to your sleeping position to benefit your back and how to choose a mattress that’ll best support your back. It also includes our suggestions of the top mattresses for back pain. Although we do partner with mattress brands, we work hard to lessen bias and bring you impartial information. Disclaimer: we're not medically qualified and are unable to provide health advice. You should always seek proper medical advice. To suggest the best mattresses for bad backs, we’ve gone through a rigorous process. We started with a review of the entire Australian mattress market. From there, we focused on reviewing the 14 mattress brands you can buy online. Using multiple sources, like customer feedback, expert opinions and unbiased data, we compiled all the essential information about each mattress brand – popularity, trial length, pricing and warranty. We then created individual mattress reviews, based on customer testimonials, sleeper ratings and construction information. This included where each mattress is made and its suitability for Aussie sleepers. At this end of this guide, you’ll find the outcome of our research – objective, relevant reviews. Here are our top 5 picks for the best mattress for bad backs in Australia. The Ergoflex memory foam mattress offers orthopaedic pressure relief and uses hospital-grade materials. As you lie down, it slowly contours to support all the right places. Memory foam excels at stabilising joints and allowing the right areas to sink. One customer enjoyed how the mattress "moulds to your body". The Ergoflex is a good choice if you're searching for a mattress that can help alleviate back pain, has a firmer feel, and uses high-quality materials. A customisable hybrid design, the Sleeping Duck mattress uses foam and springs for a supportive, bouncy feel. You can choose between two firmness levels - medium or firm - and then swap foam layers for a softer or firmer feel. 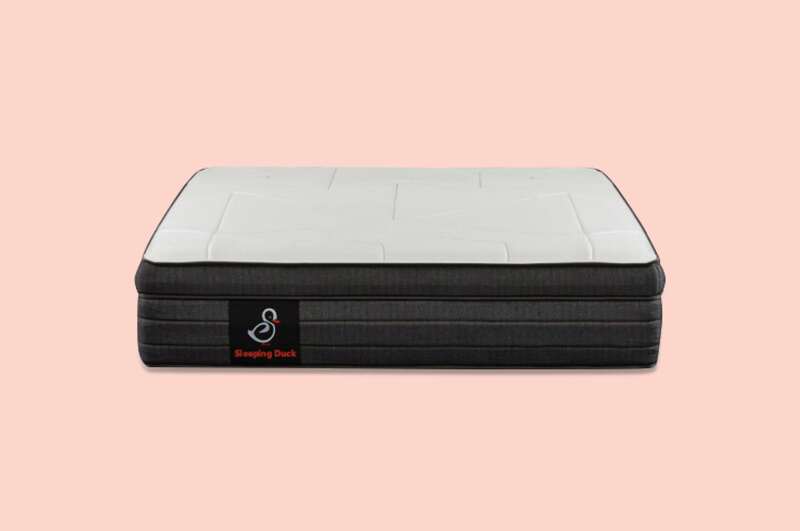 If the mattress needs more cushion, you can request a softer layer from Sleeping Duck. The same goes for a firmer feel. This means you’re able to try which type of firmness best supports your back. Underneath the foam and latex layers is a pocket spring base. Constructed of hundreds of individually-wrapped springs, this layer provides most of the support. This support is necessary for every sleeping position. Plus, each spring reacts to your movement separately, which means less motion transfer and more contour. The springs are also thicker towards the edges, so you'll be comfortable no matter how you move. Featuring natural latex and a customisable design, the Ecosa mattress lets you adjust the firmness level for the perfect feel. You can choose from a medium, medium-firm, or firm setting simply by switching the layers. This is a common feature in hybrid mattresses, but it's rare in an all-foam design. Ecosa also uses memory and high-density foam for pressure relief and support – great news for bad back sufferers. Another factor that sets the Ecosa apart is the innovative mattress cover. It has a micro-filament inner cover that prevents 99% of dust mites and allergens from entering the foam layer. Also, this fabric is 100% waterproof and breathable. Surrounding this fabric is a removable, soft double-knitted polyester cover. Plus, there is a fire-resistant woven silica sock between the outer and inner covers. This contributes to the Ecosa's overall quality and thoughtful latex design. See our Ecosa Mattress review for further details. 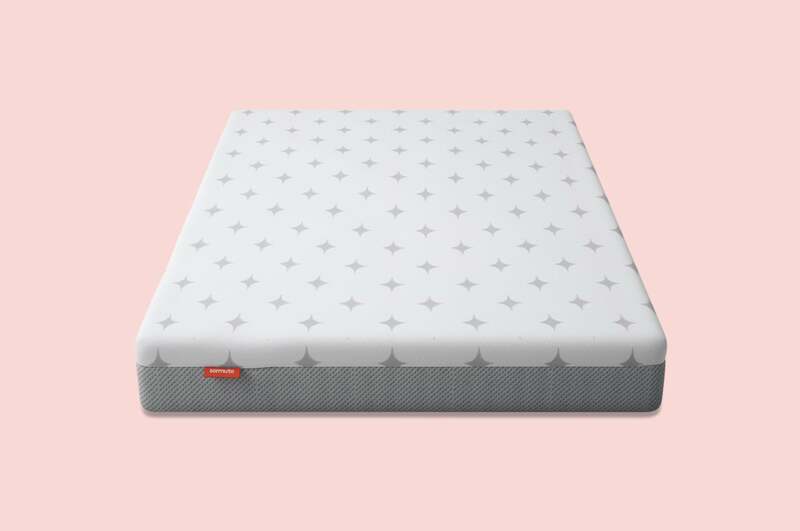 As one of the top-rated designs online, the Koala mattress uses a specialised Kloudcell foam for a "not too firm, not too soft" feel. This material was designed by Koala, and acts like a blend of memory foam and latex. Similar to latex, it's springy and breathable. Like memory foam, it's also great at contouring and cushioning sleepers. The second layer is a high-density eco-foam that provides support and prevents you from sinking too deep. Together, these foams create a mattress that can help to support your spine and reduce back pain. One customer said he's "never felt more comfortable sleeping". While the Koala does take time to break in, the 120-day trial period gives you plenty of time to adjust. Overall, we're not surprised this highly-rated mattress is winning sleepers over one night at a time. 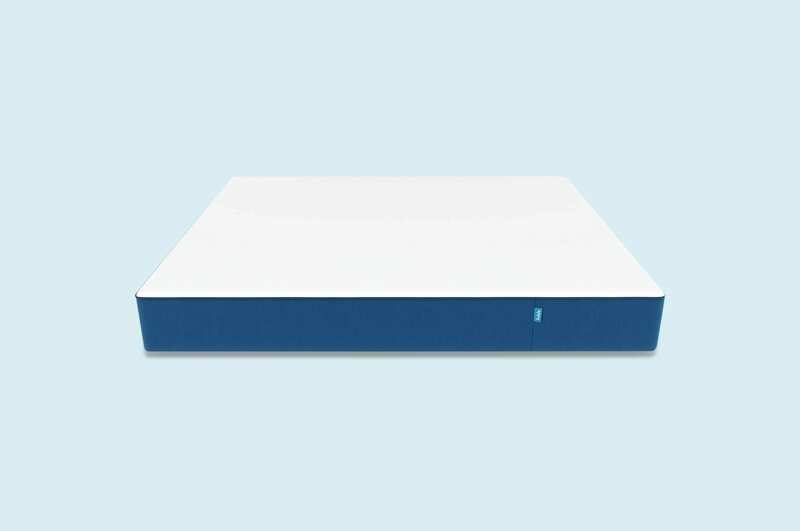 See our Koala Mattress review for further details. Manufactured and sold exclusively in Australia, the Sommuto is made to hit the "sweet spot". It's constructed of high-quality foam and fabric and excludes any foreign materials. 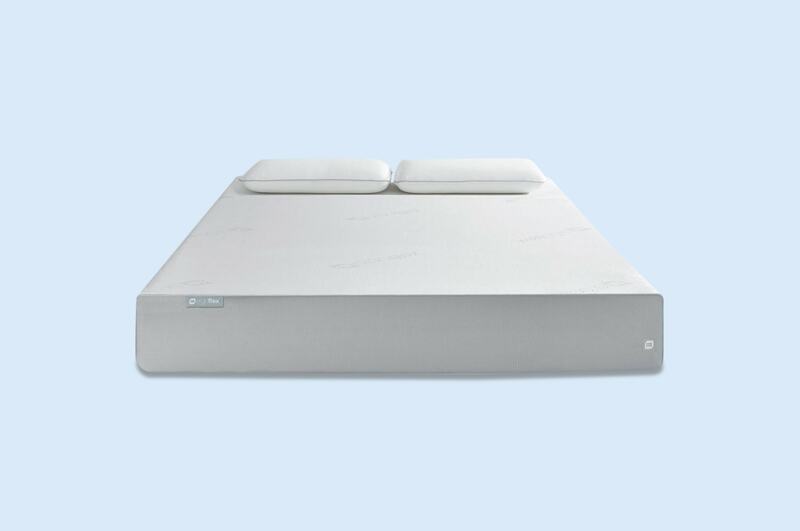 While the Sommuto costs more than the average foam mattress, it's worth the price if you're searching for a quality, durable design. If you flip from side to side every night, this mattress may be perfect for you. Besides being an Australian-made mattress, there are plenty of reasons to love the Sommuto. It combines gel-infused memory foam, comfort foam, and a high-density support foam for a balanced feel. The memory foam is great for pressure relief and the gel helps distribute heat. Underneath this layer is the Sommuto's secret - a contouring comfort foam. This layer provides support while flexing to your body's curves – a great weapon in the fight against back pain. Another plus is the breathable knit cover. Made from Tempright fabric, it's ideal for seasonal climates and sleepers who overheat. So, what’s the overall best mattress for back pain? There isn’t one! That’s because not one single mattress can solve every type and cause of back pain. However, although we're not qualified to offer health advice, we found many sleepers had reduced back pain with a supportive, firm mattress. Further research revealed an ideal mattress design is one that holds the neck, spine, and hips in line, while contouring to support the lower back. 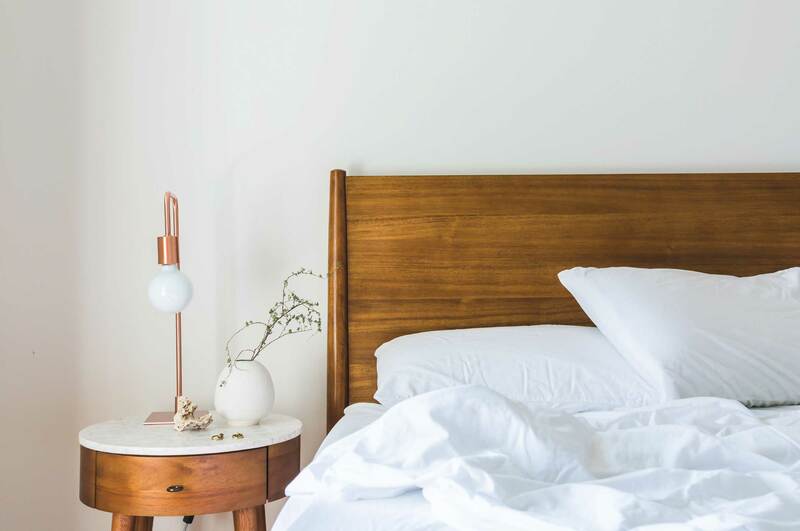 Taking this into account, this guide will arm you with impartial information and showcase some of the most suitable options for mattresses you can buy online. This narrows your choices from a huge market and makes your next mattress choice simple and stress-free. Once you’ve been to your doctor and ruled out any medical reason for your back pain, think about how you sleep. Do you wake up often throughout the night? If so, are you woken up by a feeling of discomfort – like being stiff or sore? Do you toss and turn trying to find a comfortable sleeping position? When you wake up in the morning, do you still feel exhausted and unrefreshed? If yes, your mattress may be causing your back pain. An old, sagging mattress won’t provide the support your back needs for a pain-free existence. But a very firm mattress may not do the trick either. A survey by Harvard Medical School of people with lower back pain found that those who slept on very hard mattresses had the poorest sleep quality. Yet soft mattresses were also problematic. As you sink in so deeply, your joints can twist and become painful during the night. 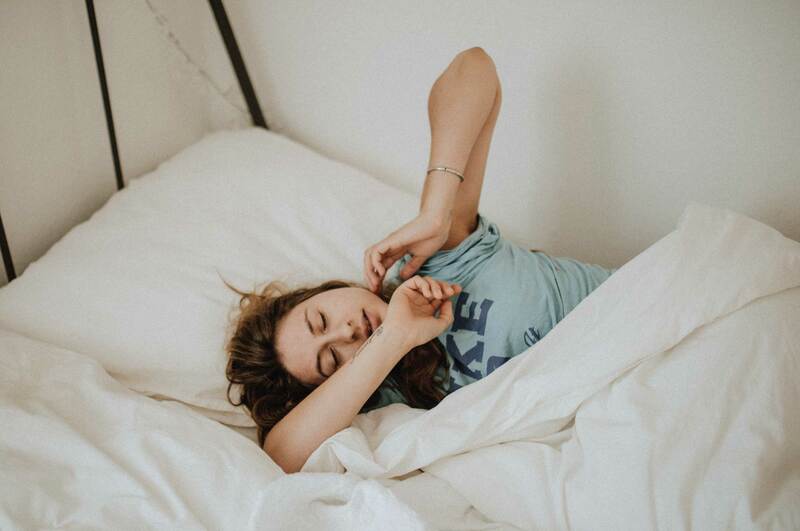 However, the survey found that there was no difference in sleep quality between those who used medium-firm and firm mattresses, suggesting these may be the best option for reducing back pain. While you sleep, your spine and the muscle supporting it needs to rest as well. This can be achieved not only through your mattress but through the way you sleep too. The best sleeping position for your spine is to lie on your back with a small pillow under your knees. This reduces the stress on your spine, helping your back to lie naturally. If you prefer to sleep on your side, use a pillow between your knees. This helps to reduce stress on the lower spine and hips. If you’re a stomach sleeper, use a flat pillow underneath your stomach and hips to help support the natural alignment of your spine. The ideal mattress for your back is one which encourages proper spine alignment and provides good support. If a mattress is too firm, there will be excessive pressure on your joints and muscles. If it's too soft, your spine drops out of line. This can lead to stressed muscles, nerves, and joints. The best mattress for back pain lets you to relax into the top layer, while the bottom layers provide support and deep compression relief. Depending on your preference, this can be a medium-firm to firm design. Weight, age, injury, and sleeping position also factor into your ideal firmness. Here’s 3 questions to answer before you buy a mattress. 1. Does it support the natural curve of your spine? Help your back by allowing it to rest in its natural position. Medium-firm to firm mattresses are thought to be the best at supporting the natural curvature of your spine. If you sleep on your back, you could try a pocket spring mattress (unless you tend to roll over onto your side a lot) or a memory foam one. If you’re a side sleeper, look for some softness, like a pillow top, to help cushion your shoulder and hip bones. 2. How comfortable is it? Medium-firm to firm mattress may be the best choice for bad backs, but if you prefer a softer mattress, you’ll still have an uncomfortable night’s sleep because it’s too firm for you. A softer mattress provides extra cushioning and buoyancy, which may relieve your back pain. In that case, there’s no reason to switch to a medium-firm or firm mattress. If you’re on the smaller side (less than 55kg), you may find softer mattresses provide enough support for your frame. It’s all about personal preference here. 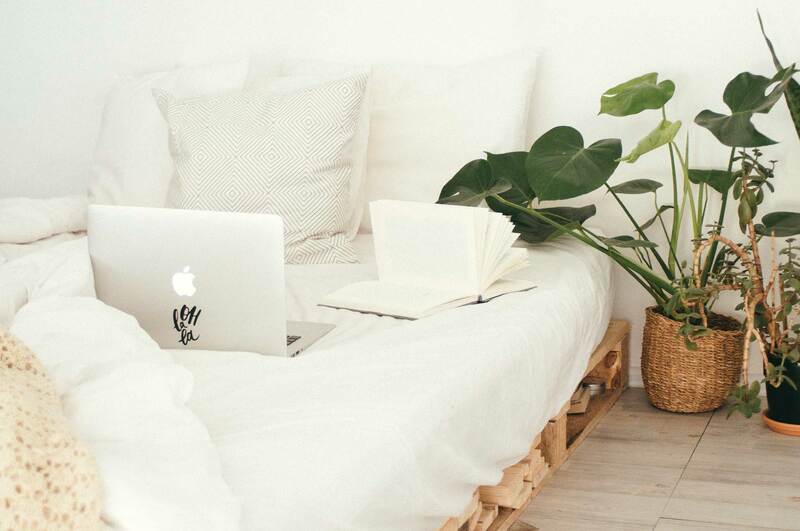 Unlike traditional shop-bought mattresses when you’ll likely spend only a few minutes lying on it, online mattresses usually offer a trial. This means you can try the mattress for a long period of time in your own home, allowing you to decide whether the mattress is comfortable enough. 3. Does it provide relief for pressure points? Pressure points are areas in the body that are particularly sensitive to pressure. They’re often felt in bony areas, including the lower back. To relieve pressure points, go for a mattress that distributes your weight evenly throughout – memory foam is best for this.